Hello! 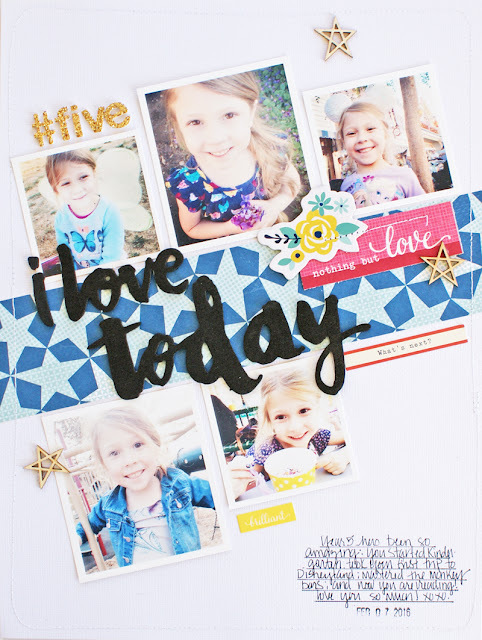 My daughter turned six this month and I thought it would be fun to end her "Five" album with a layout sharing a few of my favorite pictures that I took throughout the year and today I want to share that with you! When I sat down to make this, I had the idea that I wanted to do something on the slant and it ended up being a good choice because it gave me lots of room for the five pictures I wanted to use. Originally, I had imagined that I would use two or more different pattern paper strips to make the slant, but it ended up making the page way too busy. To simplify the layout, I settled on just on piece of paper (which is from Shimelle's new line that I totally love!). Since I had so many striaght lines going on in the layout, I chose to make my title with some messy/curvy Thickers. The nice, solid black color allowed the title to really stand out on the busy background. I am pretty excited that I did this layout. I have an evergrowing list of layout ideas and this type of "review" layout is on it. Sometimes I get pretty caught up in keeping up and this project let me stop for a bit and look back at the whole year as opposed to one single day or moment and I liked it. 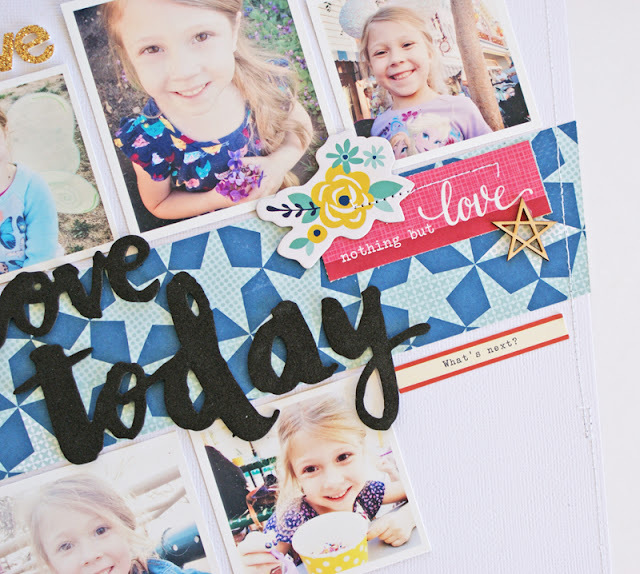 Definitely see myself incorporating more these types of layouts into my album!